Linda Ayres, a loan consultant at New American Funding’s Las Vegas office, was chosen earlier this year to sit on the newly formed Department of Housing and Urban Development’s Housing Counseling Federal Advisory Committee, created to help design HUDS’ future efforts on homebuyer education. Linda Ayres, a loan consultant at New American Funding’s Las Vegas office, was chosen earlier this year to sit on the newly formed Department of Housing and Urban Development’s Housing Counseling Federal Advisory Committee, created to help design HUD’s future efforts in homebuyer education. Ayres is set to work on the committee over the next 12 months to help build ideas. When the 12 months are up, HUD will look to see if there is further work to be done, Ayres said. The members met for the first time during the second half of June at the White House to learn what to expect over the next year. Future collaboration will likely be via remote communication, she said. The committee came out of the Dodd-Frank Wall Street Reform Act of 2010. Emerging out of the Great Recession, that act was created to increase consumer protection by introducing rules to keep borrowers from abusive lending and mortgage practices by banks in an effort to avoid a repeat of the financial crisis in 2008. Under Dodd-Frank, the Office of Housing Counseling at HUD was created to carry efforts out on homebuyer education. The HCFAC was designed to advise HUD on improving the efforts of the Office of Housing Counseling. The newly formed committee brings a diverse group to look at homebuyer education including the mortgage, real estate and housing counseling sector, along with the consumer market. Three individuals from each sector were chosen for the task. The process of choosing each member of the council started with a nomination; Ayres said it’s unknown to her who her nominator was. Her appointment was in early June. Ayres’ nomination could have a lot to do with her history in educating homebuyers. She has spent over two decades in the mortgage lending industry and several years volunteering her time helping counsel and educate first-time homebuyers. A Massachusetts native, Ayres came to Las Vegas in 1998, where her in-laws had already retired years earlier. Ayres’ parents would later follow suit. She spent time as an instructor in the lending portion of a homebuyer education class for the now-defunct Economic Opportunity Board. Following that agency’s closing, she moved onto working with Housing for Nevada, where she served on the board for one year. Ayres also volunteered at Neighborhood Housing Services of Southern Nevada — a NeighborWorks agency and HUD-approved housing counseling agency, where she served on the lending committee. 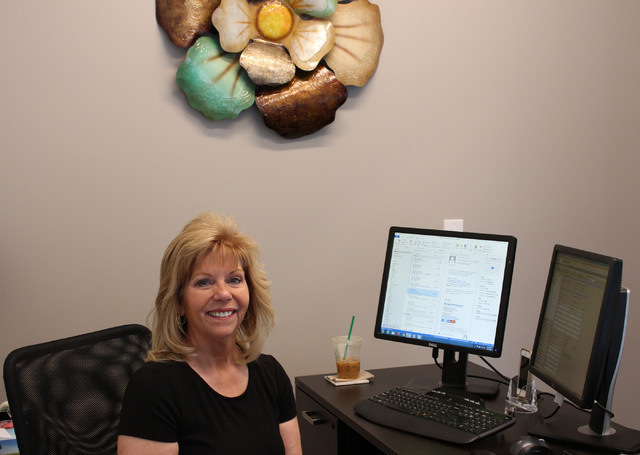 She also works with the Southern Nevada Regional Housing Authority, helping Family Self-Sufficiency participants purchase their first home. At NHSSN, Ayres helps with homebuyer education, teaching a mandatory class for borrowers receiving federal down payment assistance at the HUD-approved agency. The agency works to go through a potential borrowers’ financial situation to help see if they’re ready for a home. “They look at all of the moving parts …,” Ayres said. Some of those moving parts include looking at what a potential borrower pays in rent and what the future mortgage payment could end up being. Ayres said what housing counselors try to do is inject a little reality. There are certain goals that both sides, lending and housing counseling, want to reach, she said. “We want it affordable today and sustainable for the future,” Ayres said.